I haven't check or logged to my Facebook game for almost 24 hours. I was just informed by a friend that he have seen a news that Marvel: Avengers Alliance Tactics is going to close down. Upon learning the news, I immediately checked and confirmed that Playdom Games is shutting down Marvel: Avengers Alliance Tactics on October 23, 2014. This was the notification shown when logging back to the Facebook game. "As a valued player, we want to let you know that as of October 22nd, 2014, Marvel Avenger Alliance Tactics will no longer be available for play. Although it is a difficult decision to shut down a game, this decision will allow us to focus on building new, more engaging games. We appreciate your support and understanding." 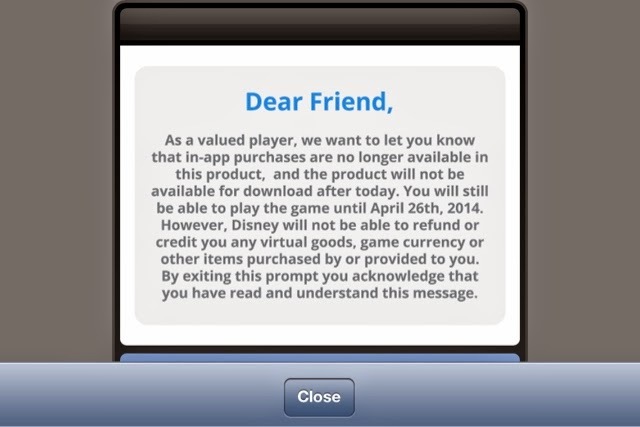 In-game notification upon logging-in to the game. It also included on the notification the launch of the final assignment, "Endgame", a special event that introduces highly rewarding, Incursion based tasks. Playdom also thanked the players for the support.They also stated that there will be no refunds or credits for any virtual goods, game currency or other items players have purchased. This will be the second Facebook game Playdom has shutdown this year. Last month they already announced the Pirates of the Caribbean: Isles of War (POTC: Isles of War) will be shutdown on September 2, 2014. This is also second Marvel Avengers related game to be put down. On April 26, Avengers Initiative, developed by Wideload Games and Disney Interactive, which was available for mobile devices such as iOS, Android and Windows Phone can no longer be played. I am not surprised by Playdom's decision although I am unhappy because I have already played the Facebook game for a while together with Marvel Avengers Alliance. 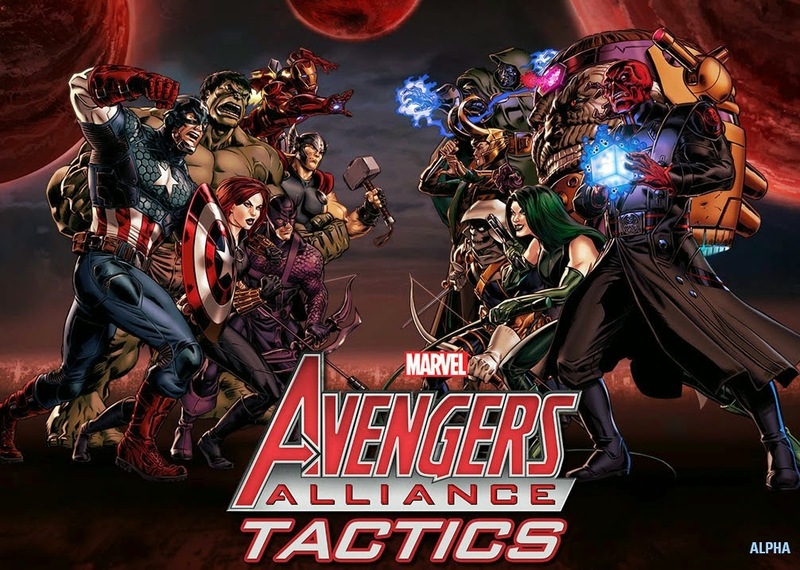 Marvel Avengers Alliance Tactics, or also known as MAA Tactics was launched March 2014 on Facebook. It's sort of a spin-off game of Marvel Avengers Alliance since it shares the same universe and some of the story-line. One part of the game-play can be compared similar to Clash of Clans, where you are attack other player's bases and destroy eight of their structures.The other part of game-play is largely similar to Avengers Alliance where character takes turn to attack each other and the only difference is that you need to include movement factor based on the tile the character is located. There are many possible reasons why Playdom had to shutdown this game. It might not have reached a certain number of players. They have trouble adding-up new chapter or missions to the game, this makes players get tired on a game. Purchasing Heroes, their skills together with building the structures easily dries up your resources. This makes you purchase in-game resources or either farm your resources to death. These are some reasons why players leave a game. With lower number of players there are lower in-app purchases. I think Playdom might have forgotten to balance these factors in the game. The game shutdown announcement earned a lot of angry reactions especially from paying players since they will not enjoy the benefits of the things they have purchased since the game would end by October. Good thing for some of us like me, I do not spend real money to purchase in-app resources or items.